Confirmation is the sacrament by which a baptized Christian is sealed with the gift of the Holy Spirit and is bound more closely to the Church . Confirmation is one of the sacrament's of initiation. 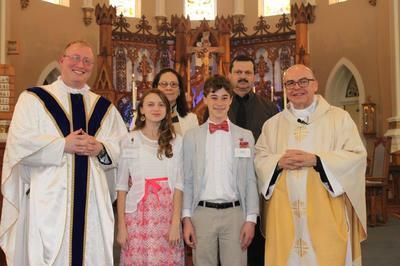 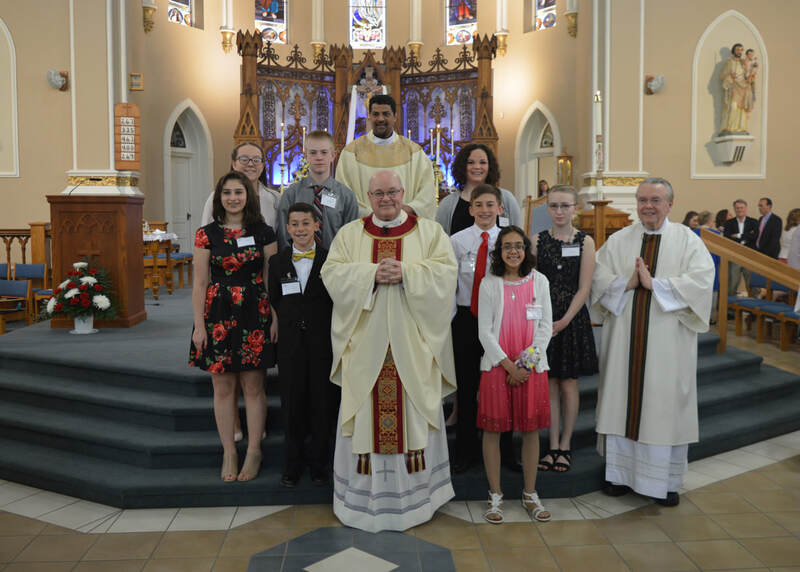 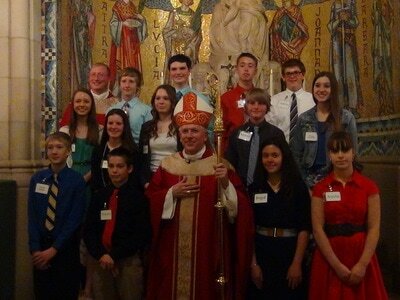 Confirmation obliges one to love, study and spread the faith. The purpose of our program is to RECOGNIZE THE PRESENCE of the Spirit in their lives and then respond to that presence. 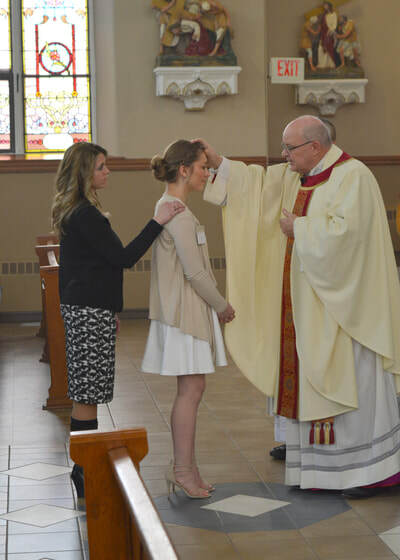 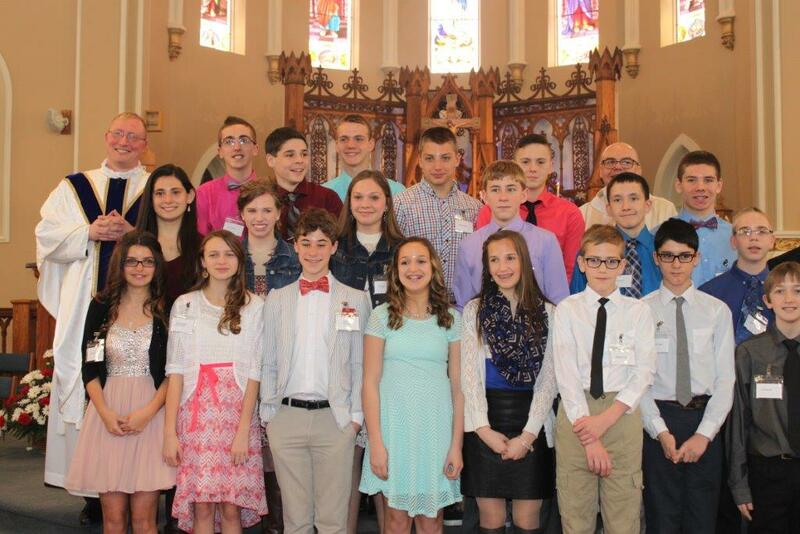 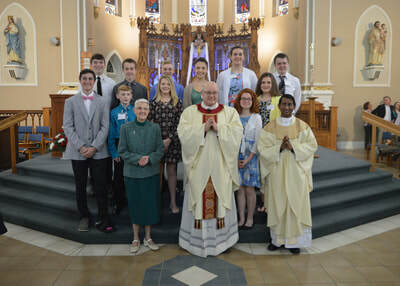 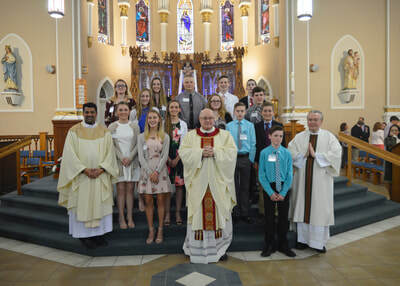 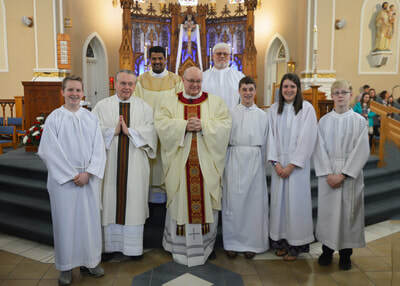 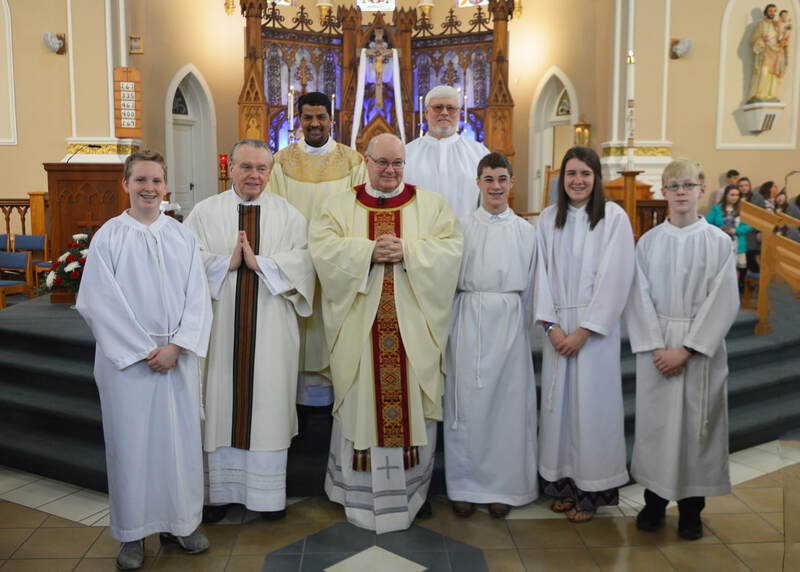 Confirmation helps teens see themselves as active, gifted members if the Catholic Church, who are responding to an invitation to confirm their baptismal commitment. 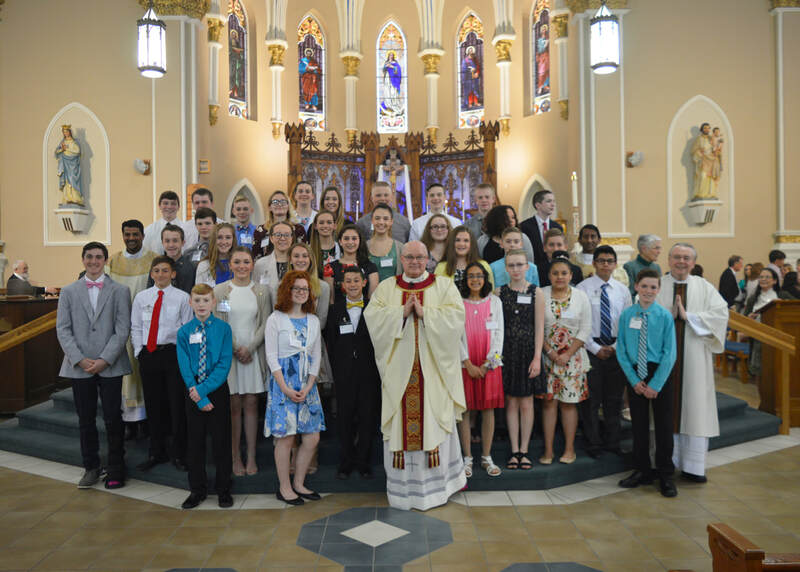 Our students begin their formal preparation in the 7th grade followed by a more intense preparation and reception of the sacrament in the eighth grade.